Breast cancer is so common these days that is really worrying. It is the most common cancer in the UK so it’s worth knowing what you can do to prevent it and how you can lower your risk. You should also be aware of its symptoms as early detection can give you a better chance of survival. This advice goes to both, women and men. It’s especially important to self-monitor and develop healthy habits if this type of cancer runs in your family. The causes of breast cancer are not exactly known but there are certain risk factors that increase your chance of getting it, for example, age (getting older), drinking alcohol and being overweight. When trying to prevent breast cancer, there are things that you cannot influence (for example, getting older, dense breast tissue) but at the same time, there are things you can do to lower the risk. Being overweight has been linked to many types of cancer, not only breast cancer. It’s estimated that 9% of breast cancer cases in the UK are caused by excess body weight. This is probably because fat cells produce oestrogen, the hormone that can stimulate the production of breast cancer cells. If you are overweight, take steps to lose weight and if you are finding it hard, consult your GP for advice. If you are a regular drinker and like to indulge at the weekends, now it’s time to think about these unhealthy habits as too much alcohol can increase your cancer risk. It’s estimated that 6% of UK breast cancer cases are linked to alcohol intake. 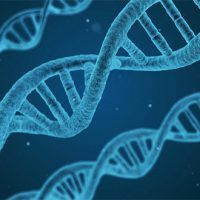 This could be because alcohol directly damages DNA which, in turn, increases cancer risk. Try not to go over the recommended maximum intake of two or three units of alcohol a day for women. Although, you should drink even less, if possible. If you live a sedentary lifestyle and rarely exercise, now it’s time to get moving. 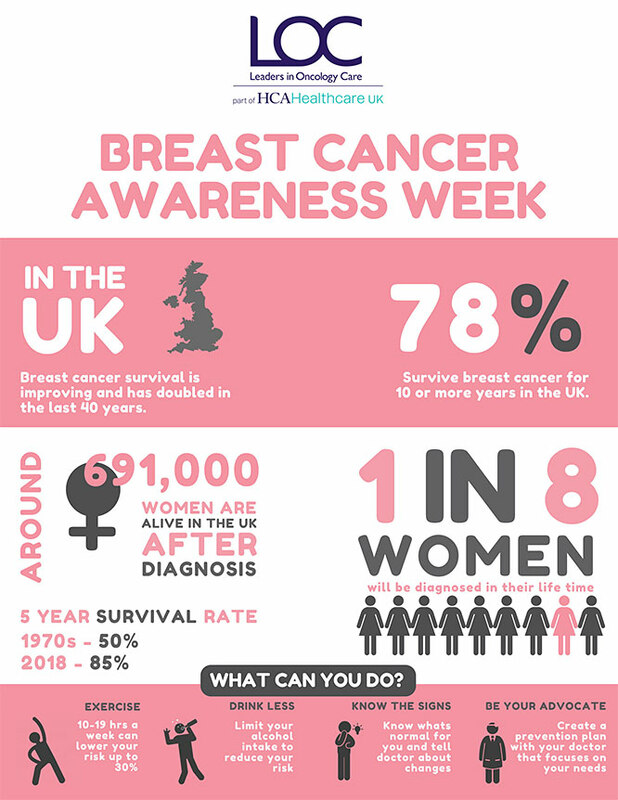 Cancer Research UK points to studies that say every two hours of exercise you do a week cuts your risk of breast cancer by 5%. Those who exercise the most and work out hardest have around a 25% lower risk than those who don’t exercise at all. To be active, you don’t have to go to the gym, instead, you can do activities such as fast walking, cycling or running. There are also some fun ways of exercising which you may not be even aware of and you can also work out at home to save yourself some money. If you are on a pill, you should see what type you are taking as certain types of the pill (those with the highest oestrogen levels) put you at a greater risk of breast cancer. It all depends on a dose and if you are concerned, the best is to see your GP for advice. Smoking increases your risk of several types of cancer such as lung, mouth and liver cancer. It also increases your risk of breast cancer – female smokers have a 12% higher risk of developing breast cancer than non-smokers. When you quit, this will fall by 3%. There are quite a few changes you can do to your diet to decrease your risk of breast cancer. First of all, try to eat less meat and increase your intake of vegetables and fruits. This will help you consume more vitamins and fibre and at the same time, you will be consuming fewer calories. Also, try to limit your intake of saturated fats which are found in burgers, pies, sausages, cakes and biscuits. There was a European study which investigated a link between cancer and diet and it found that women who had the highest intake of fat, including saturated fat, were at the greatest risk of developing breast cancer. Replace unhealthy fats with healthy fats (omega-3s) which are found in fish, nuts, flaxseeds and avocado. At the same time, try to increase your fibre intake – you can do this by switching to wholegrain foods and eating more fruits and vegetables. It has been found that eating more fibre appears to reduce breast cancer risk in pre-menopausal women. While there is a lot you can do to prevent breast cancer, you cannot influence your family history and inherited genes. You also cannot do anything about not having children (if you don’t have them this slightly increases your risk). If you are worried about the things you cannot influence or about any of the symptoms you may have, make an appointment with your GP as soon as you can or alternatively, contact a private healthcare provider such as The Loc. It’s very important you get a quick health check-up and advice from an expert, just to be on a safe side. Your symptoms may not turn out to be dangerous but still, you should get them checked. If you find a lump it’s more likely to be benign than cancerous (nine out of 10 aren’t harmful) but if it’s cancerous and discovered early you will benefit from getting your treatment sooner. One woman in eight will be affected by breast cancer so do not neglect the things you can do to reduce your risk. Be breast cancer aware, lead a healthy life and talk to your friends and family about it to make sure they know the risks, symptoms and what they can do to lower their risk. Although survival rates of this type of cancer are improving, nothing beats prevention and checking your breasts regularly to pick up early signs of a problem. Thank you for sharing these tips haven’t ever really thought to watch out for symptoms like this but now I will. I really believe that diet had a huge impact on our health and we need to make more people aware of this. I agree, diet certainly plays an important role. This is a really useful article and I’m going to share it – noticing the symptoms and avoiding the risk factors could make a real difference. Having a best friend who is days away from dying from this cancer i know all too well how it can destroy. Any day now I will get that phone call that I never want to receive. Omg, that’s really bad, sorry to hear about your friend, it must be heart breaking. 🙁 I don’t know anybody that has been affected by breast cancer but both of my parents died of cancer (different types) and I would never want anybody to go through the suffering my parents endured, that’s why I write about the prevention on my blog a lot. I don’t drink, smoke or take the pill and eat well, but I of course still check myself regularly. It is not something I would wish on anyone. I am the same, I don’t drink, smoke or take a pill, but still worth checking. I think many of us are guilty of this, that’s why we need a reminder from time to time! The statistics for breast cancer really are horrifying! 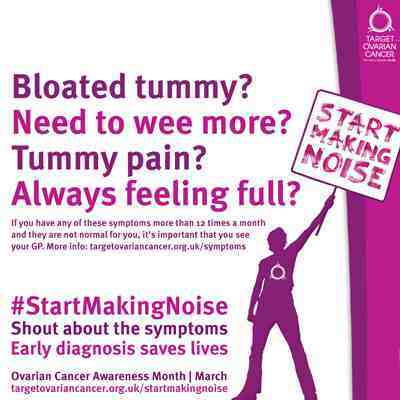 Knowing the signs and symptoms and what we can do to reduce the risk is so important. Good for you for raising awareness. These things cannot be underestimated so better to check it out when it doesn’t seem right. Yes, we should never ignore anything that it doesn’t seem to be quite right.